Escaping from the pack of hungry vultures is not easy. 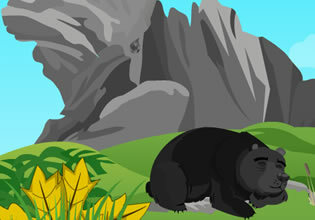 This time you have to help him escape from a bear! Good luck!